FotoInsight’s unique photo Advent calendar alternative to Advent calendars stocked with chocolates from Ferrero® and kinder®. FotoInsight’s Advent photo calendar for self-filling is made of strong opaline with satin finish and is 48 x 36 x 3.5 cm (WxHxD) large. The compartments for the stockings are each 3.5 cm deep. The height and width of the compartments differ; they are respectively between 5.5 cm and 10 cm high, and between 5.7 cm and 13.5 cm wide. 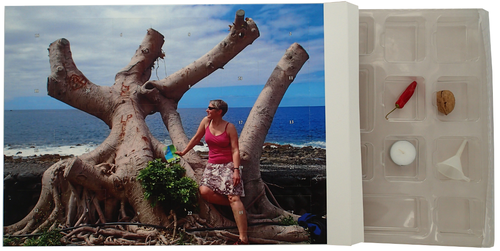 The price is GBP19.99 (+p&p) at http://fotoinsight.co.uk/photo-calendars/chocolate-advent-ca... (EUR22.99 in Ireland). - Ferrero® Photo Advent Calendar from GBP19.99 (or EUR24.99 in Ireland), with a selection of chocolates Ferrero® Küsschen®, Ferrero Rocher® and Raffaello® in sizes A4 and XXL. - kinder® Photo Advent Calendar from GBP18.99 (EUR19.99 in Ireland), with chocolate surprises kinder® chocolate®, kinder Country®, kinder Bueno® and kinder chocolate Bons® in sizes A4 and XXL. - Chocolate Advent calendar from GBP9.99 (EUR12.99 in Ireland). - Chocolate Free Photo Advent Calendar from GBP7.49 (EUR8.99 in Ireland), with 25 landscape images in sizes A4 (35 x 24 cm) and A3 (42 x 29.7 cm). For questions or if you would like to test FotoInsight's service as a journalist or blogger, please contact us on tel. 0208 1449369 or email pr@fotoinsight.co.uk . FotoInsight also offer vouchers and software for reader offers. This press release was distributed by ResponseSource Press Release Wire on behalf of FotoInsight Ltd in the following categories: Leisure & Hobbies, Home & Garden, Consumer Technology, for more information visit https://pressreleasewire.responsesource.com/about.